As we disgusted in the previous post, hepatitis C is a viral infection that causes damage to the liver over time. According to the Centers for Disease Control and Prevention (CDC), 2.7 million people in the United States have chronic hepatitis C. A chronic infection, it can lead to serious scarring of the liver called cirrhosis, as well as liver cancer and liver failure. Myth: There is no cure for hepatitis C.
Fact: Not only can patients with hepatitis C be treated, they can also be cured. “Cured” means that the hepatitis C virus is not detectable in your blood months after treatment has ended. Relapse or reinfection is still possible and a person can still have liver disease even after being cured. Myth: You can get hepatitis C from sharing eating utensils. Fact: Hepatitis C is passed from person to person when an uninfected person’s blood comes in contact with infected blood. Hepatitis C isn’t spread by sharing eating utensils, food or drinks, or from shaking or holding hands with someone who’s infected. Myth: There is no way to reduce the risk of getting hepatitis C .
Avoid sharing needles and injecting or snorting drugs. Don’t share razors, toothbrushes, nail clippers, or other personal care items that may have come into contact with infected blood. Don’t use tattoo or piercing equipment that’s been used on someone else. If you’re an international organization or doctor’s office looking for dependable and reliable HCV rapid test, Rapid Test has the binding assays needed for proper detection. For export outside of the United States, contact us today with questions. Experts agree that using tests like the HIV Rapid Test is an essential part of stopping the spread of HIV. The HIV Rapid Test provides the quick results that most patients desire. The standard screening test for HIV is an HIV ELISA test. This HIV ELISA test requires a small sample of blood from the patient, but typically requires two visits. Studies have shown that those being screened for HIV testing where the blood is sent to an outside laboratory, do not return for follow-up visits. This gap in HIV Rapid test and treatment time is dangerous when dealing with rapid transmission of such an infectious disease to others. Unlike the HIV ELISA test, an HIV Rapid Test provides results during a single counseling session. Thus, the HIV Rapid Test allows the patient to get pre & post-test counseling, HIV Rapid Test results, and any medical referrals they may need – all in one visit and in a very short amount of time. Early diagnosis of the HIV virus by using the quick and simple HIV Rapid Test can help identify patients who may be candidates for anti-retroviral treatment, which has been shown to delay the progression of the infection to full blown AIDS. This type of Rapid HIV Testing benefits not only the individual, but the health of the community, by reducing the risk of spreading an infectious disease. The HIV Rapid Test can be useful to quickly confirm HIV status in the community which then enables health professionals to effectively identify and establish appropriate HIV prevention services. Users of the HIV Rapid Test know that HIV is a serious virus infection. When a person has an HIV infection, it means the T-cells in the body are being attacked. Known officially as “human immunodeficiency virus,” the HIV symptoms are not always known, depending on the phase of infection. However, the majority of infected HIV patients develop a flu-like illness within a month or two after the virus enters the body. An HIV Rapid Test is important at any stage since the HIV virus, once in the bloodstream, continues to multiply and destroy cells. If no testing occurs, as that in an HIV Rapid Test, then the virus can develop into AIDS. If an infection is suspected, an individual should seek medical advice as soon as possible. Using the HIV Rapid Test allows an infected individual to receive immediate treatment helping to prevent further spread of the HIV virus to others. 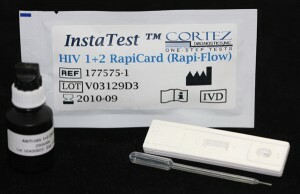 Diagnostic Automation/Cortez Diagnostics, Inc.’s HIV Rapid Test can be run on serum and plasma samples. The HIV Rapid Test works best on fresh samples. For serum testing on the HIV Rapid Test, collect blood into a container without anticoagulant. Allow the blood to clot and separate the serum from the clot. Use the serum for the HIV Rapid Test. For plasma sample testing using the HIV Rapid Test, separate the plasma from the blood using centrifugation. If the specimen cannot be tested using the HIV Rapid Test on the day of collection, store the specimen in a refrigerator (at 2 to 4 degrees celsius) for up to 3 days. Make sure to stir and bring the specimen to room temperature before using the HIV Rapid Test. Do not freeze and thaw the specimen repeatedly before using the HIV Rapid Test. Results from the HIV Rapid Test can be obtained within 20-30 minutes of using the HIV Rapid Test. If the HIV Rapid Test result is negative, only one colored band appears on the control C region of the HIV Rapid Test. If the HIV Rapid Test is positive, a pink color will appear not only on the C band of the HIV Rapid Test, but also a distinct pink colored band will appear in the test (T) region of the HIV Rapid Test. Diagnostic Automation/Cortez Diagnostics, Inc. offers HIV testing in the following formats: an HIV Rapid Test (cassette) and (two) HIV ELISA Tests. One HIV ELISA Test is the HIV 1, 2 ELISA Test, CE Certified** for the qualitative detection of antibodies to HIV type 1 (group M-O) or 2; the other HIV ELISA Test is the HIV 1,2 Ab/Ag ELISA Test*** for qualitative determination of antigens or antibodies to HIV 1 or 2. For more information about HIV Rapid Tests, or HIV ELISA Tests, please contact our Customer Service Department. Customers who use these HIV Rapid Tests and HIV ELISA Tests, also ask about our HCV ELISA Tests, HCV Rapid Tests, Autoimmune Disease ELISA Test kits, Blood Bank ELISA Test kits, Cancer ELISA tests, Infectious Disease ELISA tests, Hepatitis ELISA tests, Cancer Rapid Tests, Hepatitis Rapid Tests, Infectious Disease Rapid Tests, and various drug test kits. Check our online catalog for Rapid Tests and ELISA Tests, including IFA Test kits, CLIA Test Kits, and Serology Tests. Our Customer Service contact is 818-591-3030. * Not to be sold, shipped, or distributed in the United States. ** this HIV 1, 2 ELISA Kit is certified for use in Europe and any other country in the world, except the United States. *** this HIV 1,2 ELISA Kit is available anywhere in the world except Europe and the United States. Los Angeles based Diagnostic Automation/Cortez Diagnostics, Inc., a leading provider of Hepatitis ELISA Test Kits, offers top quality HCV ELISA kits at competitive prices and in a timely manner. Our company is committed to offering the best quality HCV Elisa kits worldwide. These convenient and easy-to-use HCV Elisa Kits (Hepatitis C ELISA Test Kits) can immediately detect any Hepatitis C infection. Hepatitis C virus (HCV) is an envelope, single stranded positive sense RNA (9.5 kb) virus belonging to the family of Flaviviridae. Six major genotypes and series of subtypes of HCV have been identified. Isolated in 1989, HCV is now recognized as the major cause for transfusion associated non-A, non-B hepatitis. The disease is characterized with acute and chronic form although more than 50% of the infected individuals develop severe, life threatening chronic hepatitis with liver cirrhosis and hepatocellular carcinomas. Since the introduction in 1990 of anti-HCV screening of blood donations, the incidence of this hepatitis C infection in transfusion recipients has been significantly reduced. 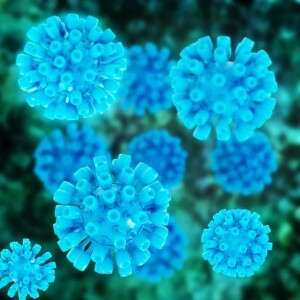 There are two kinds of HCV ELISA kits available through Diagnostic Automation/Cortez Diagnostics, Inc. One easy-to-use HCV ELISA Kit, also known as HCV ab ELISA Kit, is an enzyme-linked immunosorbent assay for qualitative detection of IgG antibodies to hepatitis C virus in human serum or plasma. It is intended for screening blood donors and diagnosing patients related to infection with hepatitis C virus. The other convenient HCV ELISA Kit is an enzyme-linked immunosorbent assay for qualitative detection of IgM-class antibodies to hepatitis C virus in human serum or plasma. It is intended for clinical diagnosis, management and follow-up of patients related to infection with hepatitis C virus. This anti-HCV employs solid phase, indirect ELISA method for detection of antibodies to HCV in two-step incubation procedure. Polystyrene microwell strips are pre-coated with recombinant, highly immunoreactive antigens corresponding to the core and the non-structural regions of HCV (third generation HCV ELISA). During the first incubation step, anti-HCV specific antibodies, if present, will be bound to the solid phase pre-coated HCV antigens. The wells are washed to remove unbound serum proteins, and rabbit anti-human IgG antibodies (anti-IgG) conjugated to the enzyme horseradish peroxidase (HRP-Conjugate) is added. During the second incubation step, these HRP-conjugated antibodies will be bound to any antigen-antibody(IgG) complexes previously formed and the unbound HRP-conjugate is then removed by washing. Chromogen solutions containing Tetramethylbenzidine (TMB) and urea peroxide are added to the wells and in presence of the antigen-antibody-anti-IgG (HRP) immunocomplex, the colorless chromogens are hydrolyzed by the bound HRP conjugate to a blue-colored product. The blue color turns yellow after stopping the reaction with sulfuric acid. The amount of color intensity can be measured and it is proportional to the amount of antibody captured in the wells, and to the amount of antibody in the sample respectively. Wells containing samples negative for anti-HCV remain colorless. This kit employs indirect ELISA assay for detection of IgM antibodies to HCV in two-step incubation procedure. Polystyrene microwell strips are pre-coated with recombinant, highly immunoreactive antigens corresponding to the core and non-structural regions of HCV. During the first incubation step, HCV-IgM specific antibodies, if present, will be bound to the solid phase pre-coated HCV antigens. The wells are washed to remove unbound materials, and then, rabbit anti-human IgM antibodies (anti-IgM) conjugated to horseradish peroxidase (HRP-Conjugate) are added. During the second incubation step, these labeled antibodies will be bound to any antigen-IgM complexes previously formed and the unbound HRP-Conjugat is removed by washing. Chromogen solutions containing tetramethylbenzidine (TMB) and urea peroxide are added to the wells and in presence of the antigen- antibody-anti-IgM (HRP) immunocomplex; the colorless chromogens are hydrolyzed by the bound HRP conjugate to a blue-colored product. The blue color turns yellow after stopping the reaction with sulfuric acid. The amount of color intensity can be measured and is proportional to the amount of antibody captured in the wells, and to the sample respectively. Wells containing samples negative for HCV-IgM remain colorless. Diagnostic Automation/Cortez Diagnostics, Inc. also offers the best quality HCV Rapid Tests to detect the Hepatitis C virus. This One Step Strip Style Anti-HCV Test (Hepatitis C Rapid Test) is a rapid direct binding test for the visual detection of hepatitis C antibodies (anti-HCV). This Hepatitis C Rapid Test is used as an aid in the diagnosis of hepatitis C infection. The One Step Hepatitis C Rapid Test is based on the principle of double antigen sandwich immunoassay for determination of anti-HCV in serum. Purified recombinant antigens are employed to identify anti-HCV specifically. This One Step Hepatitis C test is very sensitive and only takes 10-20 minutes for the result to be read. Test results are read visually without any instrument. Customers who use the HCV ELISA KITS and HCV Rapid Tests also inquire about our Hepatitis B ELISA Test Kits and Hepatitis B Rapid Tests that test for the Hepatitis B virus in human serum or plasma. These widely-used Hepatitis ELISA Test Kits and Hepatitis Rapid Tests are the most convenient and inexpensive Hepatitis ELISA Test Kits and Hepatitis Rapid Tests on the market today. For more information about the various Hepatitis ELISA Test Kits or Hepatitis Rapid Test Kits, please contact our Customer Service department. Also available at Diagnostic Automation/Cortez Diagnostics, Inc. are HAV ELISA Test Kits, HBV ELISA Test Kits, HDV ELISA Test Kits, HEV ELISA Test Kits, HGV ELISA Test Kits, and HTLV ELISA Test Kits.